The 1-bedroom apartments can accommodate up to 4 people but are designed for 2 adults and 2 children in mind. 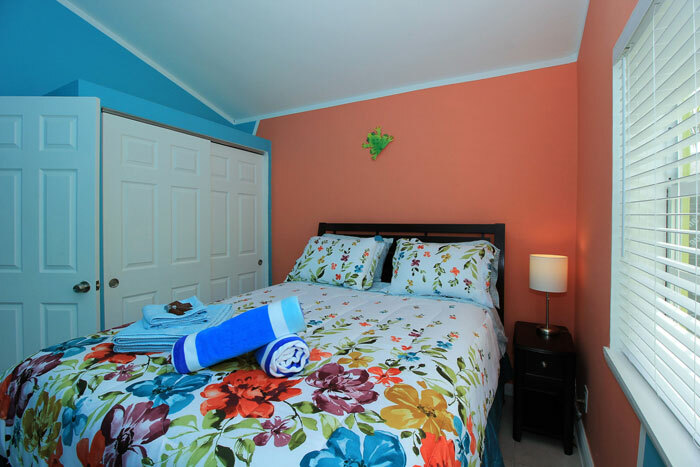 They are furnished with a queen size bed, with an upgraded, memory foam top mattress and a sleeper sofa in the living room. 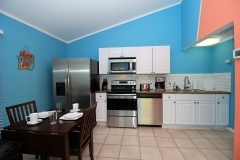 The living area features a completely equipped kitchen with a full-size stove and an oven, a dishwasher and a large fridge with a water and ice dispenser. Coffee maker with a hot water dispenser as well as a toaster is also provided. Plates, mugs, glasses, utensils, as well as the pots and pans are available for your use. There is a small eating area that can accommodate up to 4 individuals. A flat screen smart TV with a premium cable subscription (including HBO, STARZ, CINEMAX, SHOWTIME, Steampix and The Movie Channel) and a fast internet service is also provided. 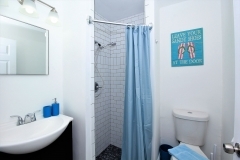 Each apartment is a completely separate and private unit, with its own entrance and secure access. Welcome to Lake Osborne Vacation Retreat. Our property has been designed to serve as a perfect vacation spot to our guest and with your comfort in mind. 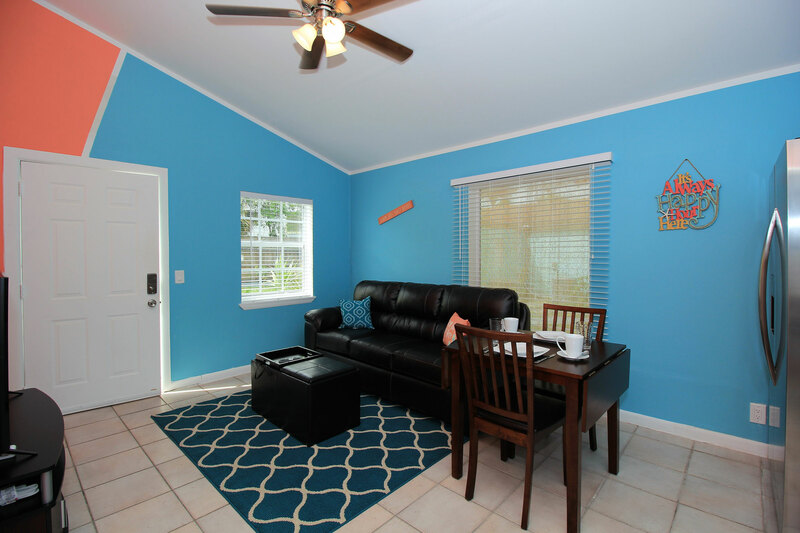 Being located less than 15 min drive (8 miles) from the West Palm Beach International Airport and a 7-min drive (2.3 miles) from the beach. Had a wonderful stay at this clean and modern place. Agata and Lukasz are wonderful hosts and communication is spectacular. They really make you feel comfortable and will help you with anything needed. Would recommend! This place was more then expected. Everything was extremely clean and updated. Everything you could possibly need to stay for an overnight, or two weeks is located within. Anytime I am down here, I will be staying with them, hoping it's available! Go ahead, book it - you won't be disappointed! This is one of the best listings I ever stayed in! The house was exactly like the photos if not better, cozy, and everything we wanted! 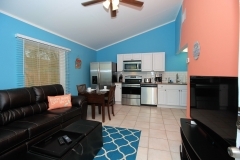 Very close to the beach, airport, shopping, you name it! 15/10 would stay again. The place is very comfortable for a couple just trying to get away for a few days! Very neat, organized, and comfortable stay. Definitely worth it if your in the area & i will definitely come back when i'm back here! Our stay was wonderful. It is a beautiful lakefront property, extremely clean, and quiet. Close to supermarkets and restaurants. Everything that we needed was there. The owners were very attenntive and returned our messages regarding any questions we had. We enjoyed our stay in this warm, cozy, and beautiful appartment. We highly recommend this property to anyone. Lovely grouping of brightly painted cottages. Our unit was spacious and obviously freshly done. The lake across the street was so nice to stroll around and bird (and people) watch. The TriRail train is very very close and Lake Worth Blvd. is a straight shot down to the town and the beach. Being right off the 95 made travelling around very easy. 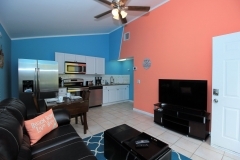 We were looking for a rental the same night and they were quick to accommodate! Everything was clean and perfectly located near some great restaurants. I couldn't be happier with the apartment. It was incredibly clean and comfortable. All the modern technology (central air, smart tv, wi-fi, and stainless appliances.) Made our stay incredible easy. The area feels very safe with a privacy wall surrounding the apartments and security cameras at each corner. Definitely recommended if you want a quiet area that's only a short drive to the beach. Such a great place to stay! 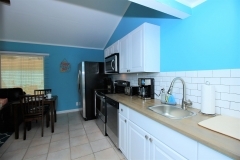 It's quite, beautifully decorated, a fully usable kitchen with dishes and more, a central location, and sits across the street from a gorgeous lake side park. I highly recommend it to anyone looking for a quiet retreat in a beautiful setting! Thanks for the best vacation! An absolutely ideal place to stay. Spotlessly clean, brand-new full-size appliances, adorable decor, spacious quiet, and full of amenities. Plus a lovely lake with wildlife just across the street. This place was perfection for me. 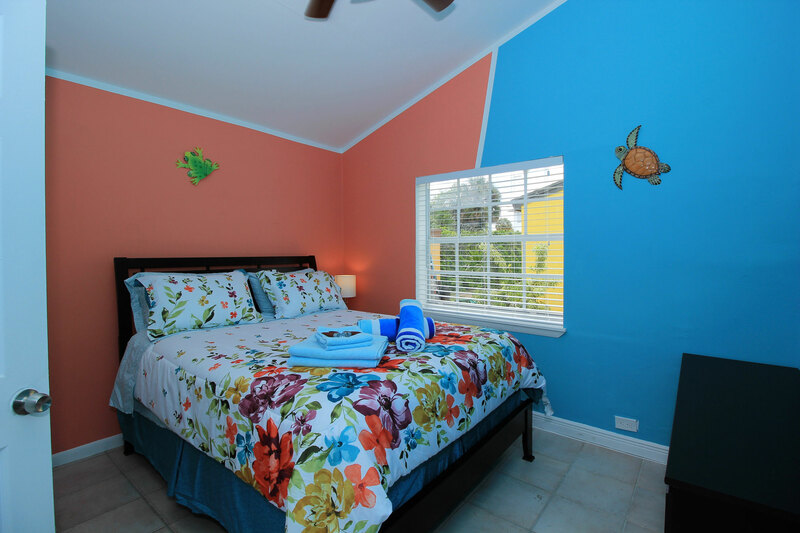 The vacation Villas in Lake Worth were BEAUTIFUL. 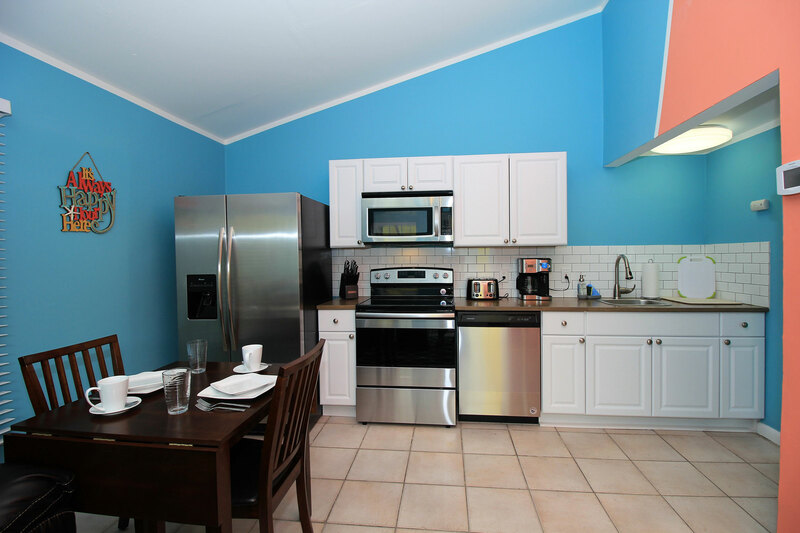 The pictures do not do the vacation rentals justice. Staying 2 weeks here in between a move was extremely relaxing & private while also a 6 minute drive to downtown bars & restaurants plus the beach. Agata & Lukasz were quick to accommodate a long stay for me. If ever a need I will be back. THANK YOU! This was a great find and a great place to stay! 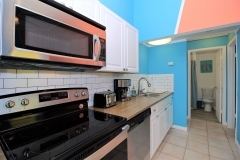 The apartment was very comfortable and the area with te other apartments feels very warm and inviting, and also safe. I enjoyed time on the hanging swings in the yard area. The fact that it's pet-friendly was nice too! Nice location but still secluded. Had its own barbeque and table, best rental on the property. Had HBO (for Game of Thrones premiere) on a big TV. The owners were accommodating of our cat. We stayed for a week, highly recommend to everyone. Hurricane Irma did a great job destroying many houses, leaving millions of people without power and a place to call home...luckily you have people like Agata and Lukasz to make your tough times a bit easy. My family and I were jumping from one Airbnb to another while waiting for the electricity of our home and I had to find a place last minute I contacted them and they answered in a heartbeat and were able to work with our needs. The space was perfect for my husband, my baby, my parents and our furry kids. I have no words to thank you enough for all you did in such little time! Although we hope to never go through this again I would definitely recommend Agata and Lukasz’s place!! Cozy, clean, quiet and packed with everything you could possibly need! This place was amazing! The spot was perfect and the house was set up perfect for what we needed. I can't wait to come back and stay here again. Not far from anything ! The inside of the home is just beautiful! Perfect for a couple ! You guys have to stay here!! Nice area and nice lake across the view! It's the best ever, all furnitures are new and clean. It's unbelievably modern and new and comfortable, it's the best one I've ever seen so far. Agata is also being really nice and helpful. The space is just as listed. Quiet and comfortable. Perfect for my quick weekend business trip. Check in was a breeze and I had no issues during my stay. I would definitely recommitted staying here. Is this a place you are considering? I have to words- BOOK NOW! We loved our stay. It was perfect for my husband and myself. We were there for spring training and it was close enough to both parks. A close drive to lots of restaurants and the beach!! Also close to grocery stores where we bought food/coffee for the week. It was perfect. Lots of parking available. Cable, WiFi available without any issues. I drove to Miami for a quick half marathon and it was perfect. Communication with the owners was great, they had a quick response to my email. I would stay again if ever back for more ball games. Do not hesitate book now.